Added the ability to show percentages in the progress bar. Added the ability to set the button(s) to full width in Layout grid. This may be useful to create flexible (radio) button rows. 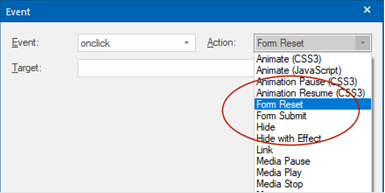 Added 'Form Submit' and 'Form Reset' actions to events. These actions can be used to submit or reset a form through events! 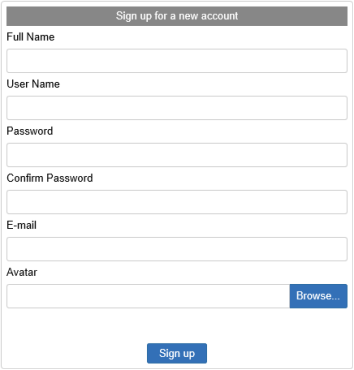 For example, to submit a form via a button that is not part of the form. Added 'Disable scroll events on small screens' to the Page Properties. This option adds the ability to disable scroll events on small screens (e.g. phones). 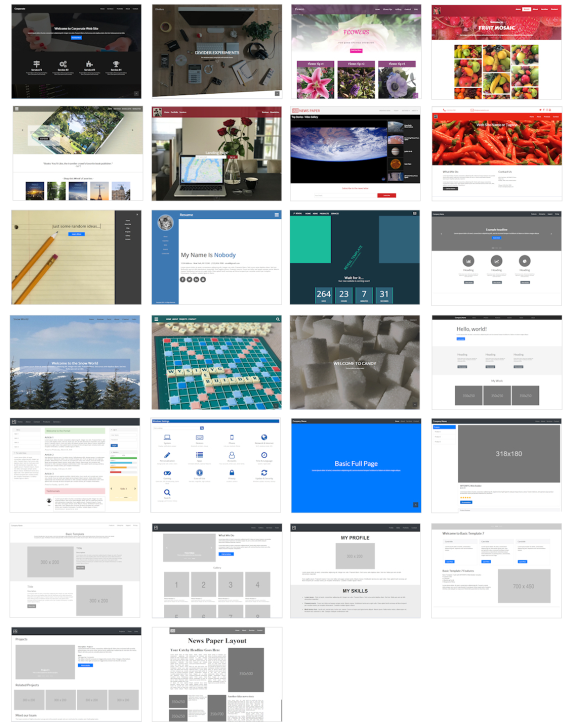 Added 'Disable scroll transitions on small screens' to the Page Properties. This option adds the ability to disable scroll transitions on small screens (e.g. phones). 'Minimum width' specifies the width at which the scroll events/ transitions will be disabled. 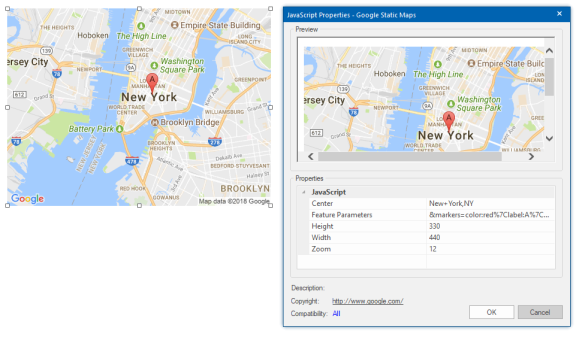 Added 'Exclude browsers' to the Page Properties. 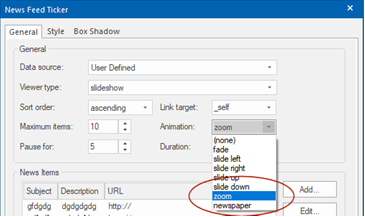 This option adds the ability to disable scroll events and transitions on specific browsers (e.g. iOS, Android). - Added the ability for the user to set an avatar image. The image can be displayed on the page with the "Login Name' object. - Added border, background, padding, vertical alignment properties. - Added 'Display Avatar' option. This will display the avatar of the logged in user. - Added 'User Roles' functionality. Users roles are used to create different types of users. 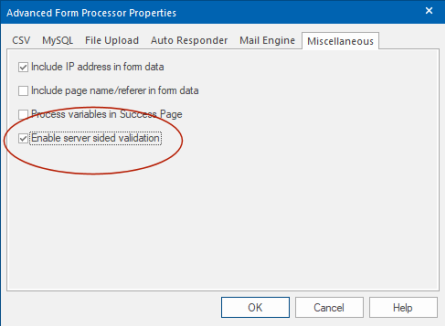 These users will only have access to the pages that have configure this role. 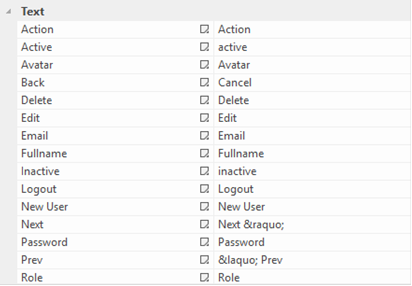 The roles are customizable in the properties of the Login admin. - Redesigned the layout of the Login Admin for a modern look and feel. - Added styling options for button and input fields. - Added support for striped and hover rows. - Added the ability to customize/translate the text of the various items (headers, buttons). - Added 'avatar' support (see 'Signup/Edit Profile). 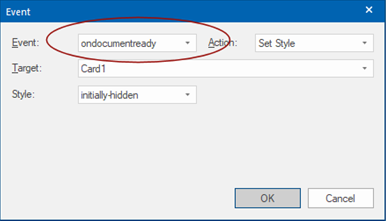 - Added 'From' property to built-in form processor settings. This will set the 'from' address of email sent messages to the specified email address. If you leave the field empty then it will work like in previous versions: either the 'email' input will be used (if it exists) or the 'to' address. - Added 'Less than' and 'Greater than' conditions. It is also possible to create a range (greater than/less than combined). - Added 'else' conditions. 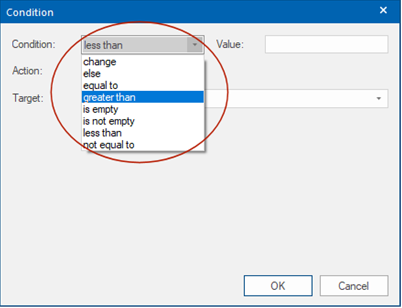 This can be used in combination with 'equal to', 'not equal to', 'greater than' and 'less than'. - Added the possibility to set the color of the placeholder text. 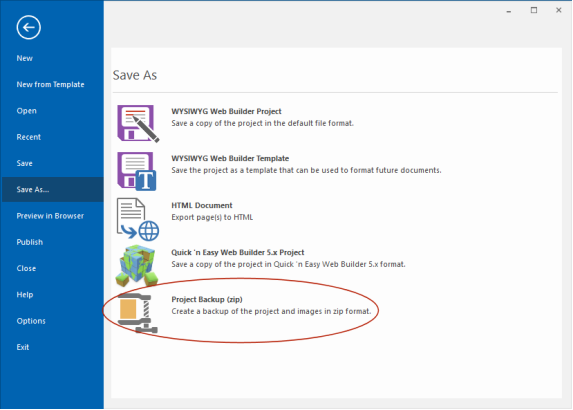 - Added 'Project backup in zip' option to File menu. This will create a full backup of the project and images etc on a local disk. - Many DPI improvements. 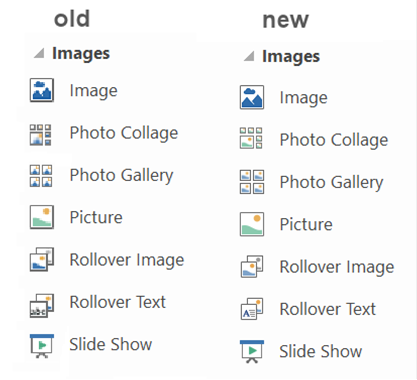 For example, all built-in images/icons/toolbars now have high resolution versions for use on high DPI screens. - Added ‘Set initial zoom level based on DPI scaling’ option (Tools->Options->User Interface). On some computers with a high resolution (4k) display, the initial workspace may be too small. By enabling this option, the DPI value of your system will be used as the initial zoom level. For example, 144 dpi sets the zoom level to 150%. 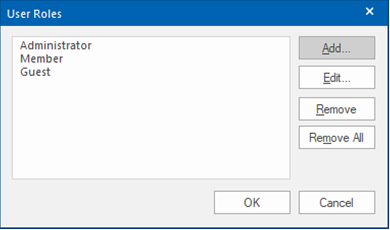 •	select the object that you want to duplicate. •	hover over the object with your mouse and press the CTRL key. •	while still pressing the CTRL key, click and drag the object to the new location. 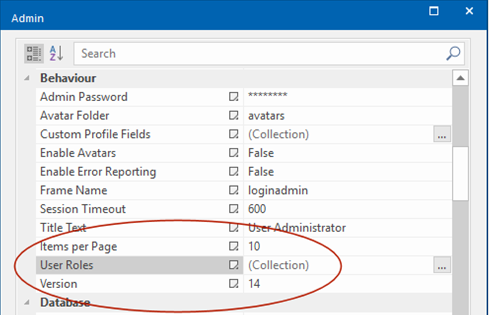 - Added 'Search' option to Site Manager to filter pages in the list and quickly find a page. 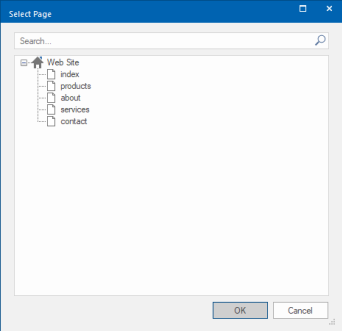 - Added 'Search' option to Page selection dialog (for internal links) to quickly find a page. - Added 'Recently Used Fonts' to the font dropdown list in the Ribbon and Format toolbar. - More objects now support ARIA role attributes. For example: tabs, accordion, search, blog, news feed ticker, navigation etc. - The 'margin' property is now responsive for most objects. - If a full width object has margin then the margin value will be subtracted from the total width using css's calc function so the object does not become wider than its container. - Added ‘Countdown Days’ script. - Added ‘Typewriter’ and ‘Typewriter Deluxe’ scripts. The typewriter scripts simulate typing text. Typewriter Deluxe also includes a cursor and reverse mode. 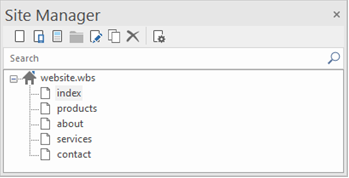 - Text scripts now show a preview of the text in the workspace. - Added support for Google Fonts. - Added support for background transparency (alpha). - Added border radius option. - Added ‘zoom’ and ‘newspaper’ animations. - Flexbox properties (flex grow, flex shrink, align self, flex basis) of objects are now responsive, so you can use different values in breakpoints. - Added 'background image+overlay' support to Flex Container. - Plus many improvements in the flexbox layout engine. - Added 'breakpoint' property to Panel Layer. When the viewport is smaller than the specified breakpoint value, the panel layer will become full width. - HTML / code viewer has a better contrast for dark color schemes. 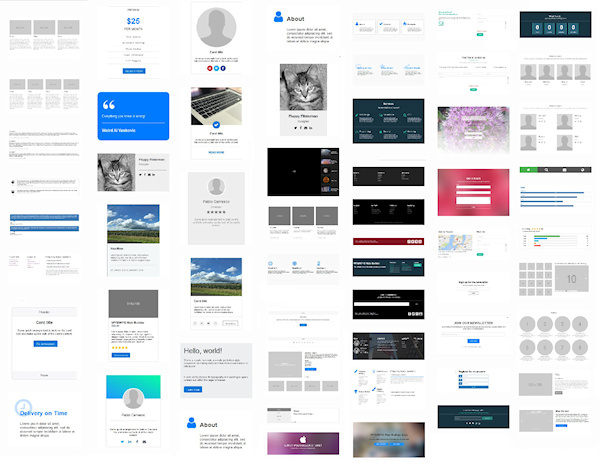 25 new (free) responsive templates. Added more than 50 new blocks. Available as (free) add-on packs.